Follow these steps to set up "Single Number Reach". This will allow calls to go to BOTH your office phone and your cellphone. 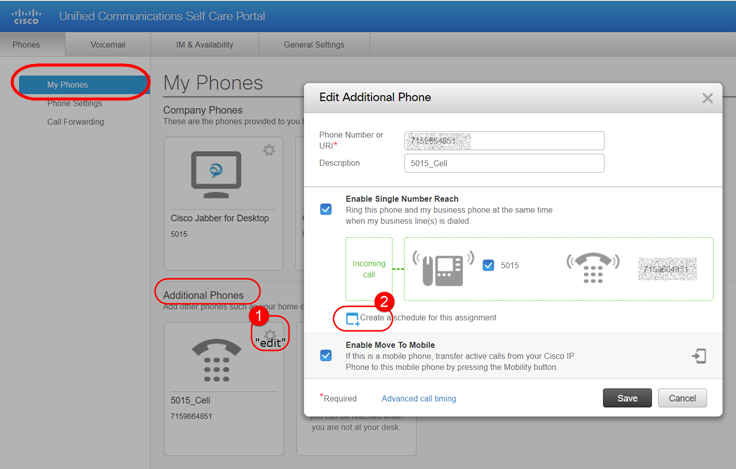 NOTE: Prior to using this feature, please contact the helpdesk and let them know you would like "To activate Single Number Reach" on your Cisco phone." Provide the helpdesk with your cellphone number and office phone extension. 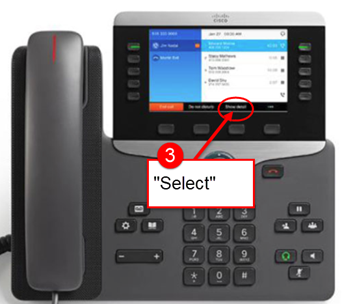 Activating "Single Number Reach" will allow a call to your office phone line to also ring on your alternate destination (e.g. a cell phone). Answer your cell phone. Listen for the prompt to “Press any digit…” then press any digit on your cell phone keypad. You now have the call on your cell phone. 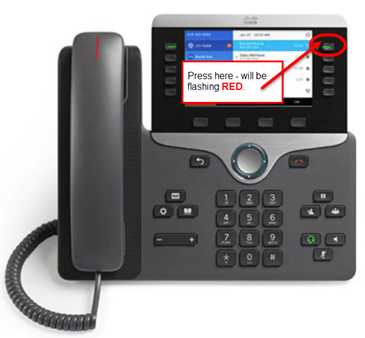 If you are on a call and want to move the call back to your office phone (if you have now entered your office) hang up the cell phone and press the flashing red button next to the corresponding call on your phone’s display. 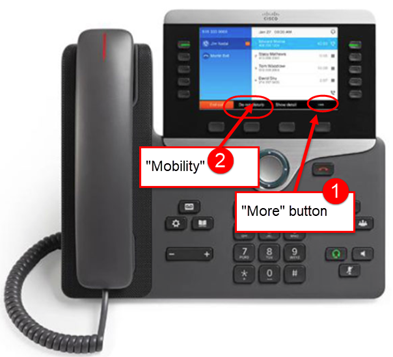 If you are on a call in your office and want to move the call to your cell phone, Press the more button “..” (see below) on your phone and then press Mobility. Choose your cell number from the list and press Select. Answer your cell phone. Listen for the prompt to “Press any digit…” then press any digit on your cell phone keypad. You now have the call on your cell phone. 1. Open a web browser and navigate to phone.uwgb.edu in the address bar. 2. Log in with your campus credential. 3. Go to "Additional Phones" area; left-click on the gear icon and select "edit". In the Single Number Reach box click “Create a schedule for this assignment." 4. Create a schedule and click on SAVE.